Even with the advent of all this new technology we have, the great outdoors is still beckoning us to come and enjoy it. It seems like most people these days are trying to be more active in their daily lives. This is great because there is so much to enjoy outside, no matter what type of activity you like to partake in. From running to kayaking, from rafting to camping, from sports to hiking, there is something for everyone. One of the most enjoyable and rewarding outdoor activities people can participate in is hiking. No matter where your outdoor adventures take you, you are going to need special gear to enjoy your activities. Hiking is no different. With hiking, you need special shoes, clothes and equipment…but would you believe me if I told you that you also need special socks to enjoy hiking? Why special socks, you might be wondering. Well, hiking puts different stressors on your feet than they experience during day-to-day activities, and because of that your feet will have different requirements when hiking. Hiking is a good way to boost your health, so you want to be sure you keep your feet in tip top shape as you enjoy this great outdoor activity. If you have no idea where to begin searching for the best hiking socks (or maybe you're an experienced hiker looking for new recommendations), do not despair. That is exactly what this article is going to help you figure out. To avoid blisters and other problems that can arise with your feet while hiking, you will want to choose a good pair of hiking socks. If your feet are prone to blisters in certain areas when hiking, such as the heel or ball of your foot – be sure to choose a sock that has extra cushioning in that specific area. To prevent blisters, perhaps wear a liner sock in addition to your hiking socks. Wearing liner socks can help to alleviate some of the friction that is caused by your boot, sock and foot rubbing each other while hiking. When looking for the best hiking socks, you need to consider a few additional factors to ensure you are purchasing the ones that will be best for you. You came to this article in search of the best options for hiking socks so without further ado, let's get trekking and help you to find some great socks to wear as you hike the old beaten path! 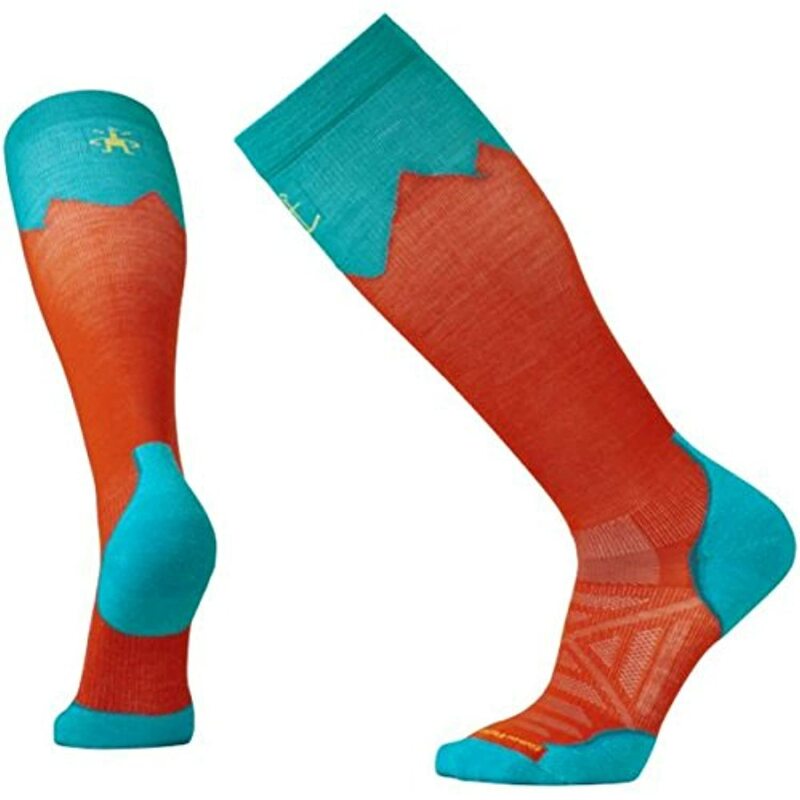 SmartWool is a company known for their outdoor gear, specifically socks. Whatever your activity, SmartWool has socks that will work for you. Their hiking socks are some of the best on the market, and it is easy to see why. Made with a blend of 50% Merino Wool, 43% nylon and 7% elastane fibers, these socks will be warm, they will be comfortable and they will easily hold their shape. The Mountaineer socks have been made in a way that allows for maximum flexibility, with their Flex Zone area at the ankle. They also boast protection and comfort in the high impact spots of the heel and toe by providing high-density cushion in these places. The toe of the sock is seamless, ensuring you don't get blisters or painful rubbing at the toe. The shaft of the sock is knitted to reduce bulk and ensure that there is plenty of room to fit comfortably in your boots. 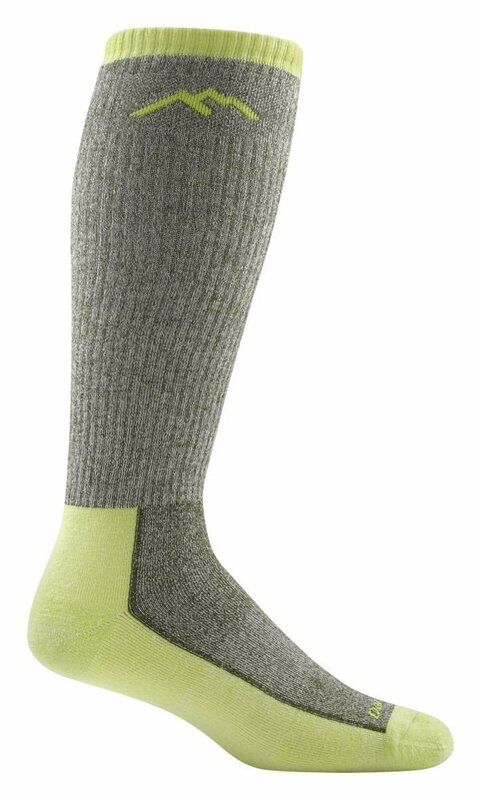 These socks are also compression socks which will aid in your legs quickly recovering once your hiking is done. Thorlo is a company that is committed to crafting a great product, and ensures that their customers have happy feet. Thorlo's signature THORLON fibers are used in these socks to ensure they are soft, durable, and will last a long time. Their THORWICK fibers are extra moisture-wicking making sure your feet are cooler, drier and better feeling while you hike. 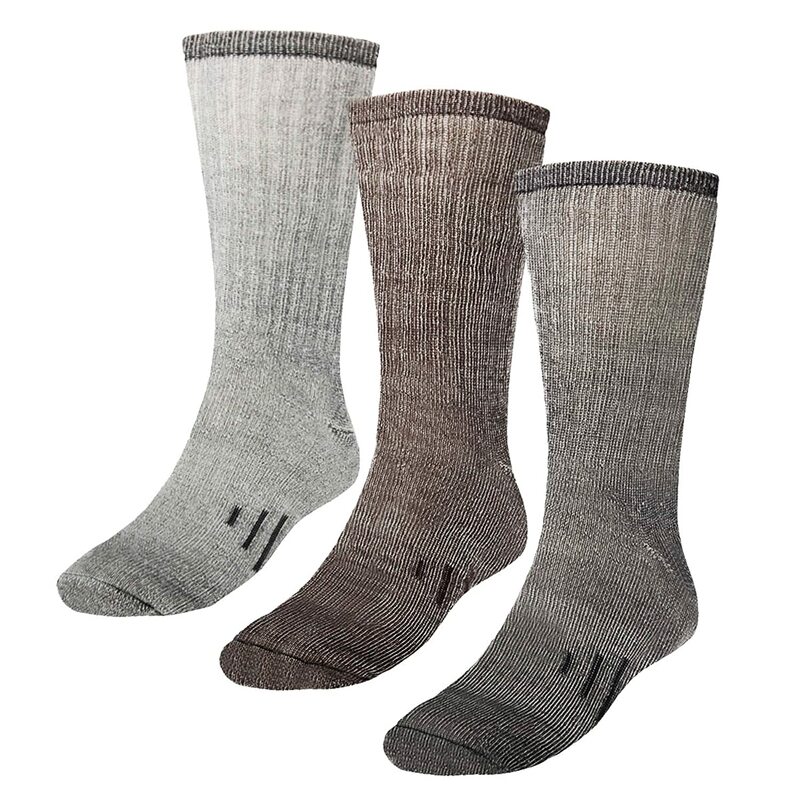 These Padded Crew Socks from Thorlo have been made with a blend of unique fibers. They contain 62% Exclusive THORWICK, 19% THORLON, 14% stretch nylon and 5% spandex. These socks are padded in all the right places, the arch and instep, helping to alleviate pressure on your feet and allowing you to be more comfortable as you hike all day. The seam at the toe is minimal to help prevent rubbing and blistering at the toes. There are special panels sewn into the socks allowing for better moisture control and breathability. Darn Tough is yet another outdoor company that has been around for a bit (40+ years), and they pride themselves on making what they consider to be the best hiking socks around. The Mountaineering Cushion Socks have been made with fine gauge knitting which means you should barely feel the socks when you're wearing them. Crafted with a blend of 79% Merino Wool, 19% nylon and 2% lycra spandex, these socks have a performance fit, meaning there should be no bunching, no slipping down, and no blisters. The material has been crafted to provide excellent fast-action wicking to quickly pull moisture away from your feet. The socks are also fast drying, so you can get back to it sooner. Made with Merino Wool, these socks are naturally antimicrobial to resist bacteria and odor, and the wool has a unique ability to be breathable in warm weather yet still incredibly warm in cool weather. Darn Tough also stands being their socks with a no questions asked lifetime guarantee on all of their products. Another hiking sock from Darn Tough is their Coolmax Cushion socks. The Coolmax socks differ from other offerings because they contain Darn Tough's Coolmax Polyester (35%), as well as 34% nylon, 28% acrylic and 3% lycra spandex. The Coolmax polyester is created to very quickly pull the moisture from your feet and help them to dry faster making sure you are dry and comfortable. As with all of Darn Tough's products, these socks are made for a non-slip, non-bunching and blister free performance fit, while also being naturally antimicrobial and nearly seamless. Crafted with a very fine knit, these socks will last a lifetime! 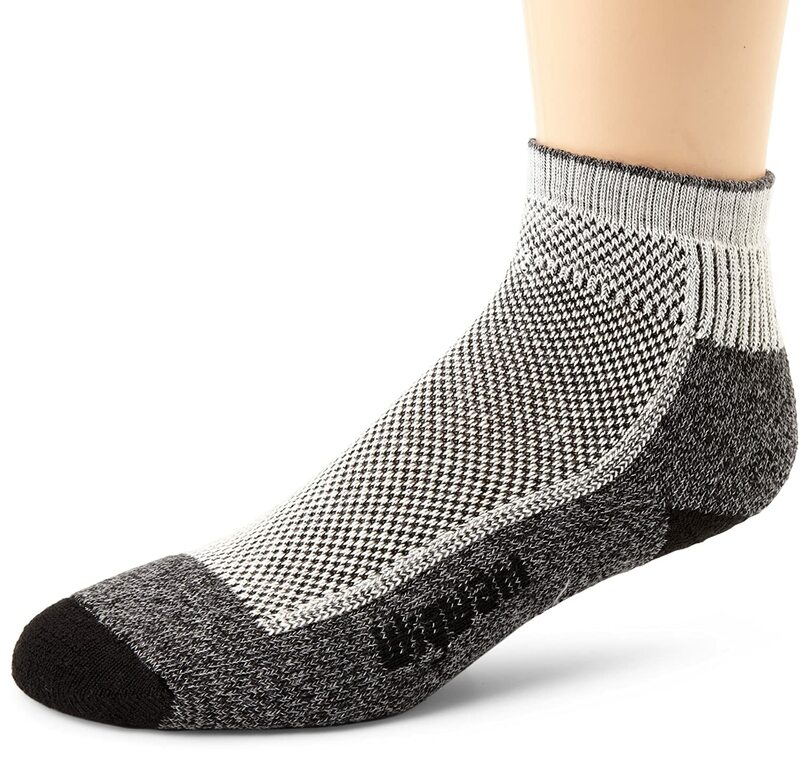 Backed by 100 years in the sock business and boasting their commitment to quality products, Wigwam is sure to be a favorite among hikers. These socks are shorter than other offerings on our list, at only a quarter length, but sometimes that's all a hiker needs. The Cool-Lite socks have been crafted with a 57% Drirelease Tencel blend, 22% stretch nylon, 20% acrylic and 1% spandex. 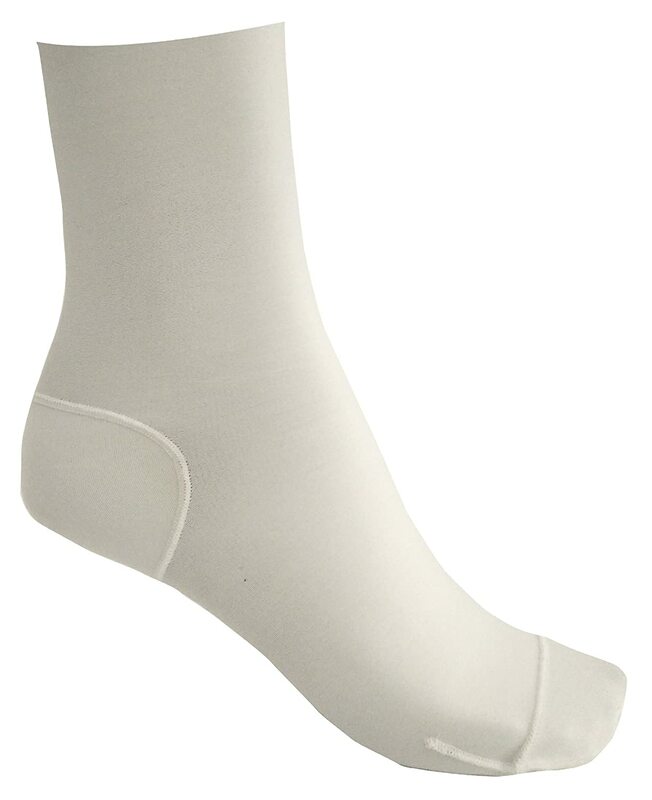 The entire midstep of the sock has a mesh fabric so that the sock is ultra-breathable. This also allows for the quick evaporation of moisture, leaving your feet dry and comfortable without odors or blisters. The heel, toe and sole of the sock have extra cushioning knit in, to make sure your feet are as comfortable as possible – wherever they might take you. Ribbed arch support has also been provided to provide support as well as prevent your socks from bunching in your hiking boots. Yuedge is a company that makes socks for any outdoor activity you can think of. Their hiking socks are very popular because they have been designed to reduce pain, blisters and pressure points, as well as resist moisture. The socks are made with a bend of 75% cotton and 25% quick-drying polyester fibers. 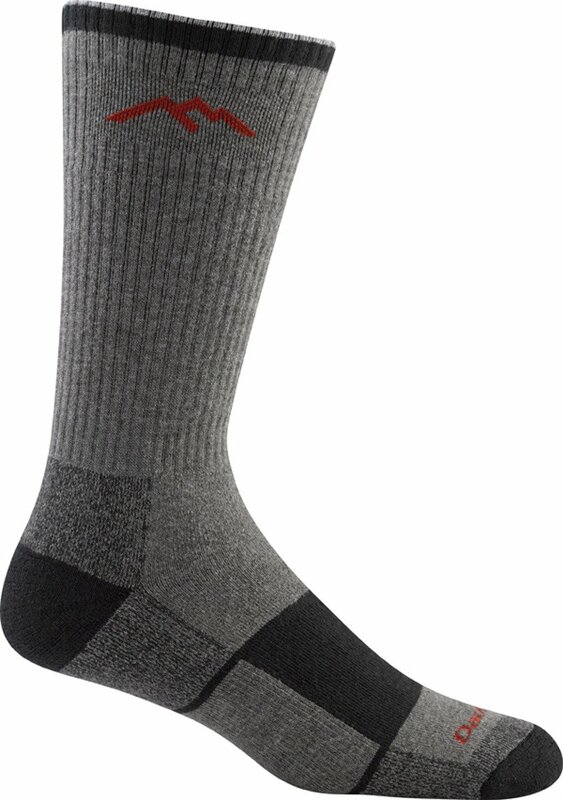 The sides of the socks have been made with a breathable mesh fabric which creates an extremely breathable sock. Because the socks are made with a quick-drying polyester, sweat﻿ and moisture that is wicked away from your feet will quickly dry leaving you with cool feet that don't stink. With plenty of cushioning along the bottom of the sock, your feet will be comfortable and well supported. Made with a performance enhancing fit there should be no slipping or bunching of the socks, and no blisters on your feet. The Danish Endurance company is one that takes socks seriously. They test them extensively to ensure their customers get the very best when it comes to endurance gear. These hiking socks have been made with 33% Merino Wool, 33% acrylic, 33% polyamide and 1% elastane. This blend uses Merino wool to keep your feet warm in winter and cool in summer. The fiber blend ensures sweat is quickly wicked away and evaporated so that your feet can remain dry and comfortable. Cushioned from heel to toe, the socks are adept at absorbing the shocks your body receives while hiking rugged terrain. The socks are well fitting to ensure there is minimal chafing and blistering, and they are also made with ventilation zones to allow for breathability. These socks will keep your feet comfortable, warm and dry – no matter where your adventures take you. The people at Hidden Peak Outdoor work hard to make sure their customers are happy with their products, and these hiking socks are just the tip of the iceberg. Manufactured for comfort, moisture wicking and support, these socks contain a blend of 69% polyester, 28% cotton and 3% spandex. On the high impact areas of the ball and heel of the foot, these socks have targeted cushioning to provide extra comfort and protection. They also contain reinforced toes and heels to ensure these socks last you a long time. The blend of polyester and cotton works to ensure your feet stay cool, dry and comfortable all day long, while the top stays where it belongs without being too tight. 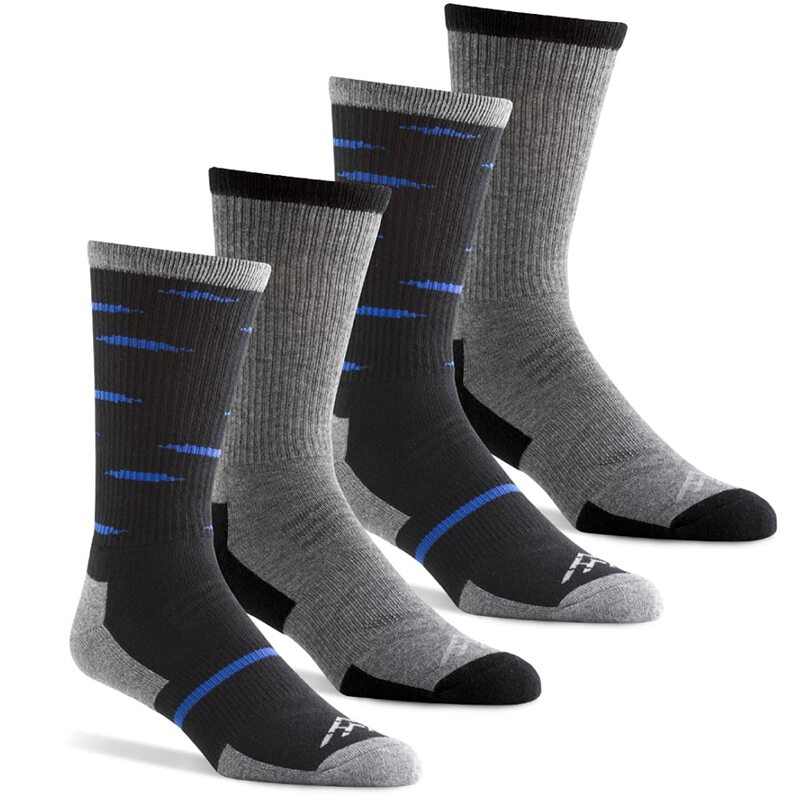 Featuring arch compression for extra support and stability, as well as mesh throughout the sock to control moisture and allow breathability…these are some of the best hiking socks you are going to find. 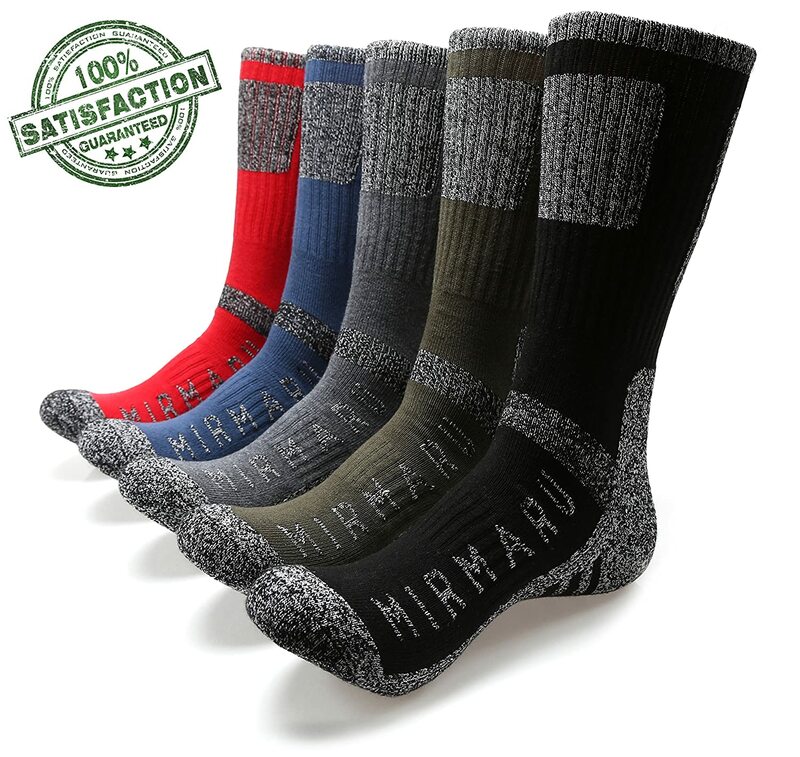 Mirmaru is a leading provider of athletic accessories, including these wonderful hiking socks. Crafted with 55% cotton, 40% polyester and 2% spandex, these socks are comfortable and durable. These socks have been designed to keep your feet warm and dry during activities in the cold months, but will also be able to keep your feet cool in the warmer months. These hiking socks contain extra cushioning in the sole, heel and toe area to provide extra comfort when hiking. This extra cushion also helps to alleviate blisters and prevents foot, ankle and shin injuries from the shock that comes from hiking. The socks contain areas of compression at the arch, to help stabilize and support your feet. The shaft of the sock is also elasticized to help make sure the sock stays where it belongs on your calf and doesn't slide down your leg or bunch up in your shoe. For those of you who like to hike when the rest of us would rather be cozied in front of a fire, there are plenty of thermal and insulated options for you as well. 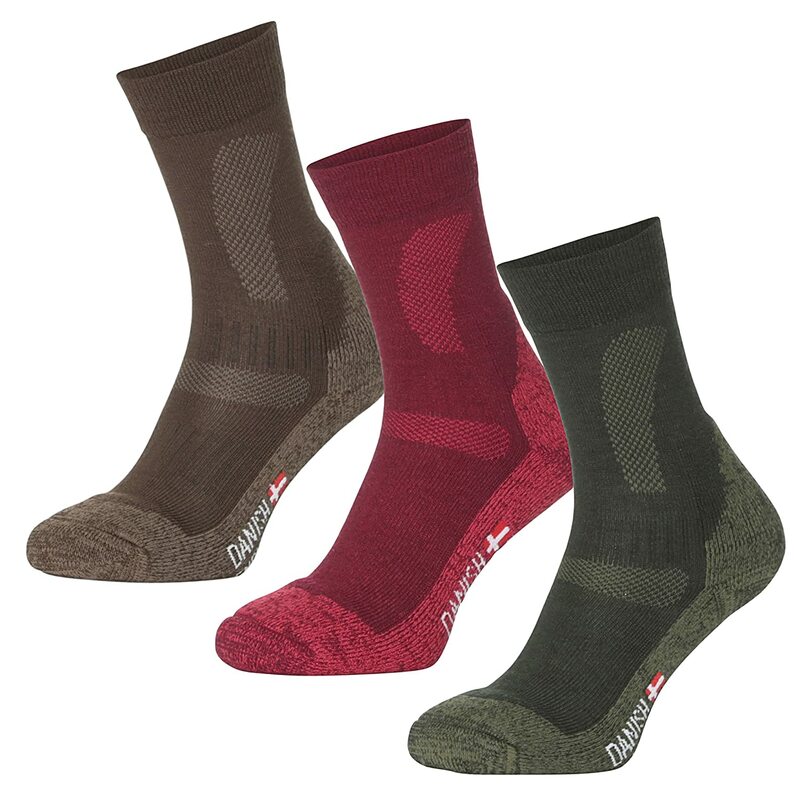 DG Hill has a fantastic offering here with their Thermal Hiking Socks. 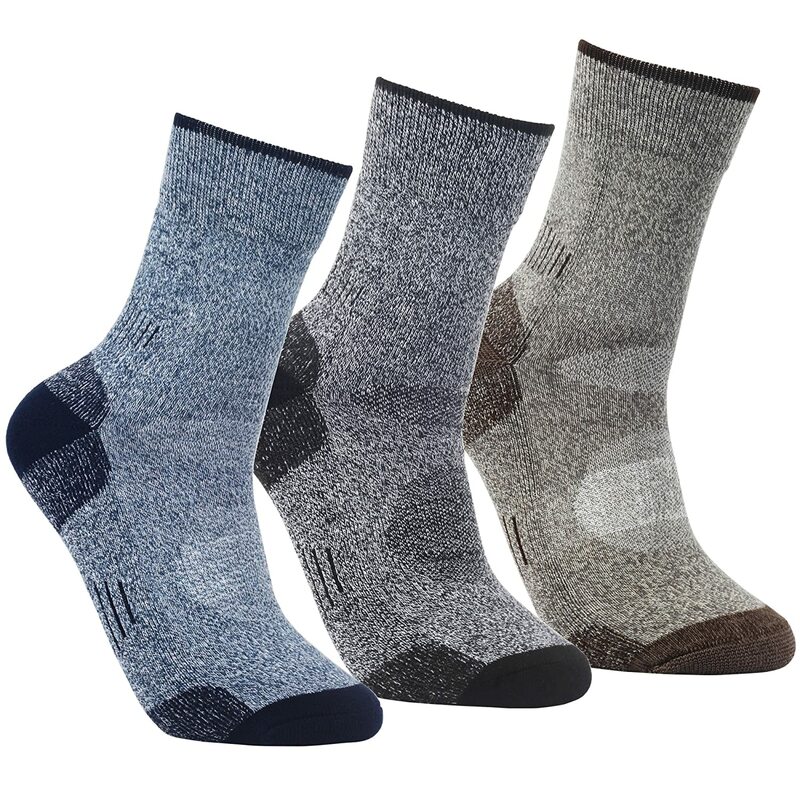 While most Merino wool socks are manufactured with less than 60% wool, these thermal socks from DG Hill are made with a blend of 80% Merino wool, 15% stretch nylon, 3% spandex and 2% elastic. 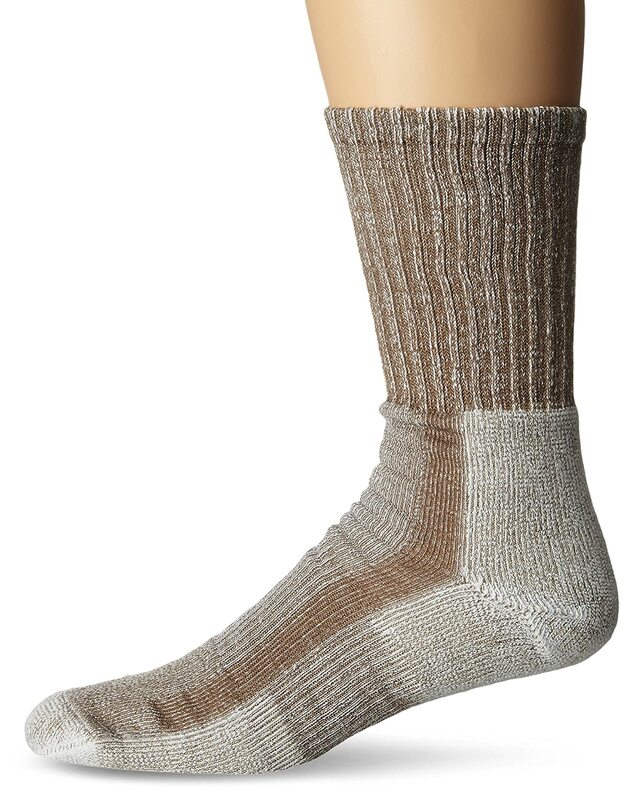 Because these socks are made with more Merino wool, they are warmer than average wool hiking socks. Another unique feature of these socks is that the inside of these socks is lined with brushed fleece. This makes these socks warmer AND softer than most other offerings. With a reinforced and cushioned heel, these socks are sure to last a long while. They also have arch support to allow for extra stability, and the top is designed to stay up no matter where you are trekking. These socks are perfect for colder weather, but definitely not ideal for summertime hikes. Earlier in the article when we were discussing what to look for in the best hiking socks, we mentioned using a sock liner to further help prevent blistering and chafing. While you can just opt to wear thinner socks under your bulkier hiking socks, we would suggest opting for a sock that has been designed specifically to be a hiking liner sock. Below we have rounded up a couple options for you. 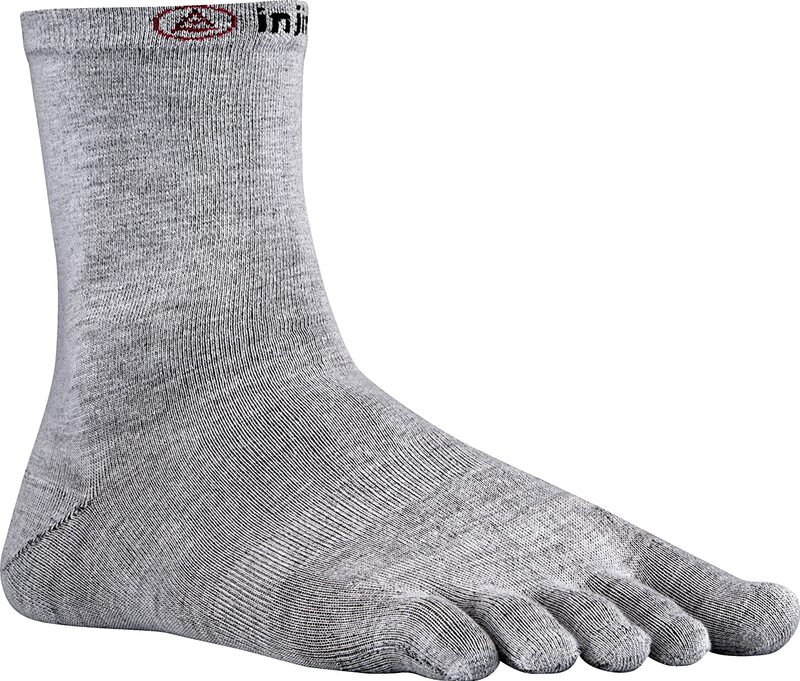 Made with a blend of 75% polyester, 20% nylon and 5% lycra, these liner socks from Injinji are a great base layer for your hiking shoes. Made to be extremely thin, these socks will work well with whatever outer sock you choose to wear while not adding any more bulk inside your favorite hiking shoe. Because of the high amount of polyester in the sock, it has superior moisture wicking properties and will help to eliminate the friction that causes blisters. The separated toes allow for proper toe alignment which will reduce stress and injuries while hiking. ArmaSkin Sock Liners have been manufactured to be like a wetsuit for your feet. They will fit your feet precisely with their blend of 87% polyester, 16% spandex and 5% silicone. The inside of the ArmaSkin Liners Socks is slightly sticky to keep them in place, while the outer layer absorbs any friction that comes from movement in the shoe. This helps to prevent painful blisters. The special inner layer of the sock grabs moisture and wicks it to the outside where it can evaporate while keeping your feet dry. This will also prevent odor causing bacteria from building up within the liners. No matter where your adventures take you, whether it be down dusty old trails or rocky mountainous paths, you need a good foundation to prevent injuries so you can enjoy yourself in the great outdoors. Choosing the best hiking socks is where it all begins. Have a look at our list and find something that will work for you!